These are incredibly comfortable, and so cute! They are definitely worth the money. This shoe is so cute and comfortable I often forget just how stylish it looks on...but not for long because I constantly hear compliments on how awesome they are! I purchased in Black/Brown combo and the neutral and love both! This is my 5th pair of Berit and by far my favorite Wedge of all time. I ordered the grey and the leather is really nice. I would love to see this in Red as I have Burgundy, Black and a lighter Dove grey. 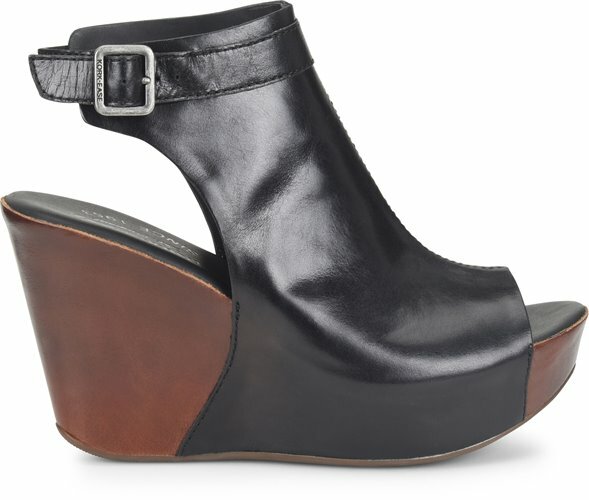 This wedge is FABULOUS!